For those not familiar with Albert Biermann, let us fill you in: he’s the former vice president for BMW’s M Division and the man responsible for the engineering prowess behind some of the finest driving machines of recent times. The straight-shooting 60-year-old is the kind of guy who wears a performance driving shoe to work, just in case he has to show a couple of young whippersnappers how its done. And rather than collecting his bus pass and retiring with grace, this exquisite man shipped out to Hyundai’s HQ in Namyang, South Korea some two and a half years ago to inject a little spice into the family-friendly marque. “When I arrived at the company, Hyundai had a clear goal to enter the sporty C-segment market but I had my own definition of a high performance car and stated that it had to consistently perform on a race circuit if it was to succeed,” he explains, as we catch up in a quiet corner of Vallelunga race circuit, just outside Rome, as Hyundai’s thundering TCR car puts in a few laps. 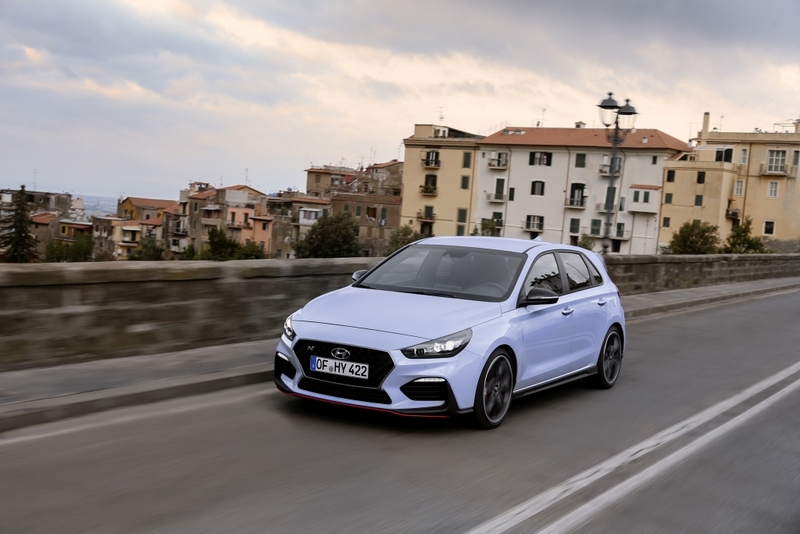 Clearly, the fruits of Biermann’s labour weren’t simply going to be some warmed-up family hatchback but we think very few were prepared for just how impressive and focussed the i30 N would turn out to be. 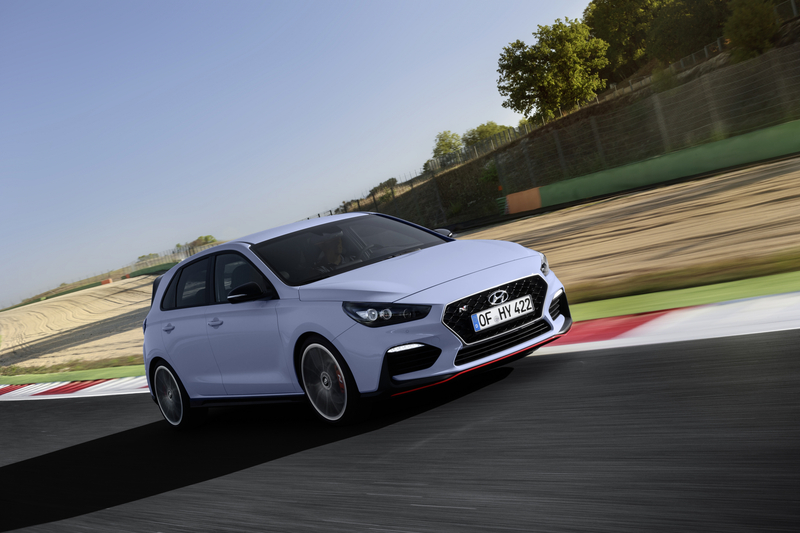 Where other high performance hot hatches wear their intentions with pride, the Hyundai i30 N takes a slightly more subtle approach. After all, the Korean marque designed this car to be used every day. As such, the wheel arches have been flared slightly and the i30 N wears either 18-inch or 19-inch alloy wheels (shod in bespoke Michelin or Pirelli tyres), while the brake disc and calipers are larger to cope with the additional force required when pounding a race circuit. 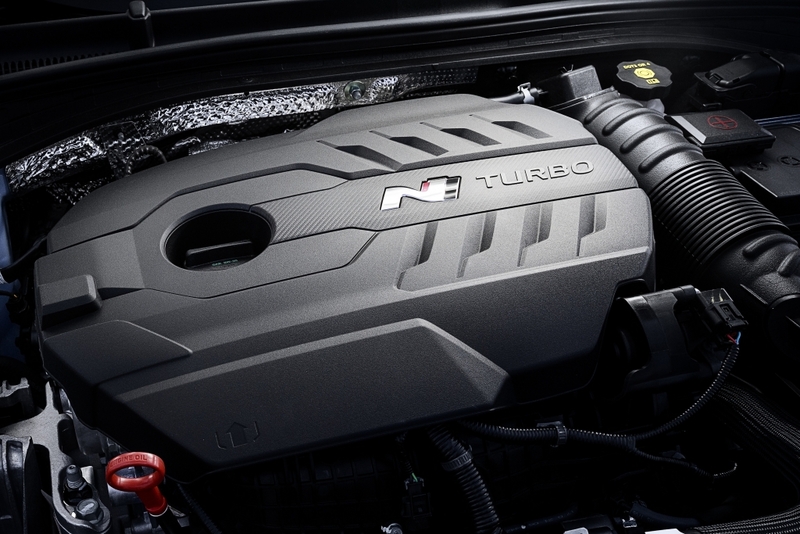 The front of the vehicle features plenty of jet black detailing, while the bumper features cooling and aerodynamic inlets that sit around the new ‘Cascading Grille’. 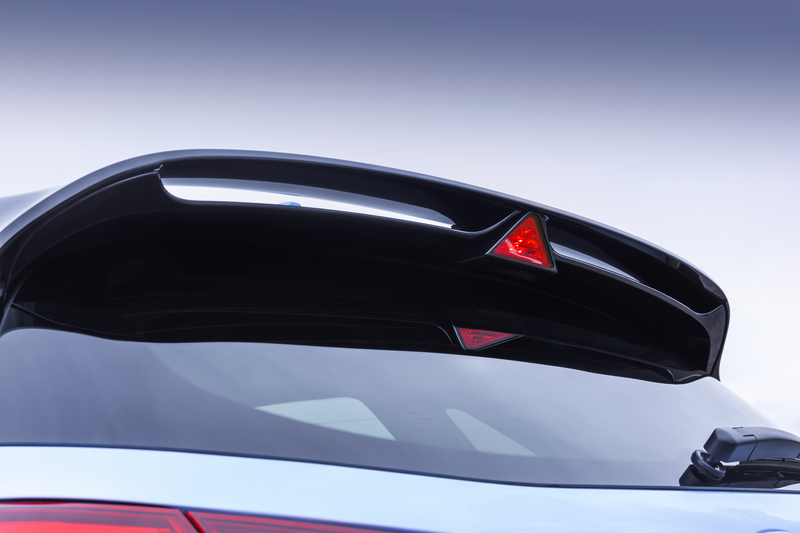 At the rear, there’s a small boot lip spoiler, twin exhausts and a neat triangular brake light at the top of the rear windscreen that looks as if it were lifted directly from Hyundai’s WRC car. 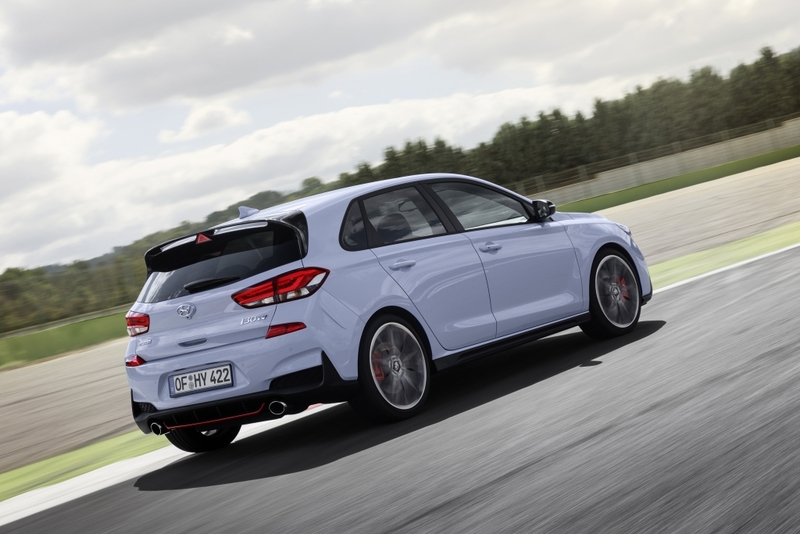 Although not straight-up jaw-dropping, the exterior styling is subtly sporty and a new Performance Blue paint job looks absolutely fantastic on the package, although we worry more reserved colours might make the i30 N look a little tame. 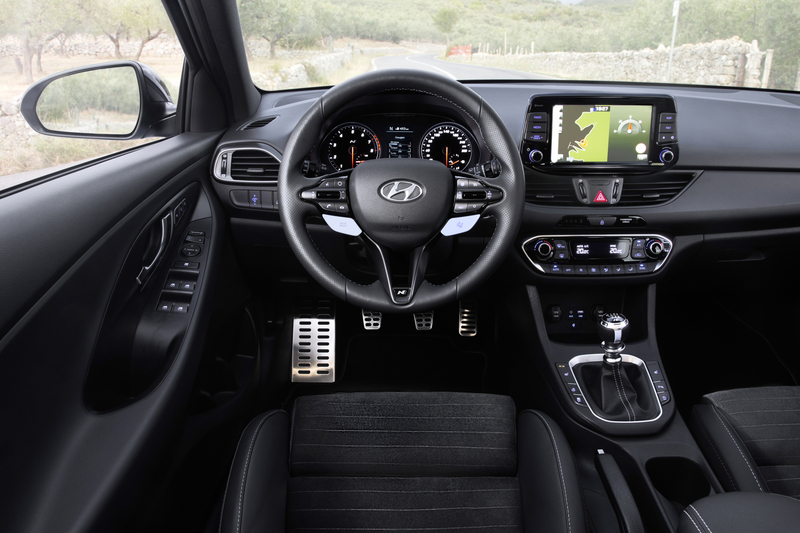 Upon first glance, the interior of Hyundai’s potent hatch doesn’t look particularly special but dig a little deeper and there are plenty of neat touches to keep petrolheads entertained. The exclusive “N” steering wheel features a multitude of buttons and switches that control the various modes, plus there’s drilled metal pedals for a high-performance touch. On the left of the steering wheel, there’s a thumb switch that flicks between Normal, Sport and Eco modes quickly, while the chequered flag button on the right hand side switches things in to N-Mode, which unleashes the full fury of the 2.0-litre turbocharged petrol engine – but more on that later. 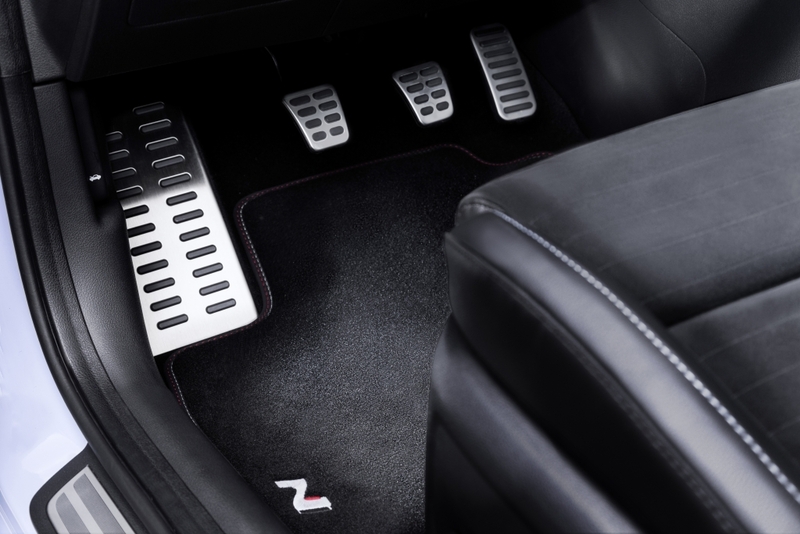 The manual gearbox (yes, it’s a proper six-speed manual) features a solid and purposeful throw, with the chunky, ball-type gear knob bearing the “N” logo and a blue stripe to match the unassuming but stylish interior design. On top of this, the electronic instrument cluster changes depending on the driving programme and when N-Mode is activated, it flashes up a neat LED rev counter, gear selection notification and speed read-outs. 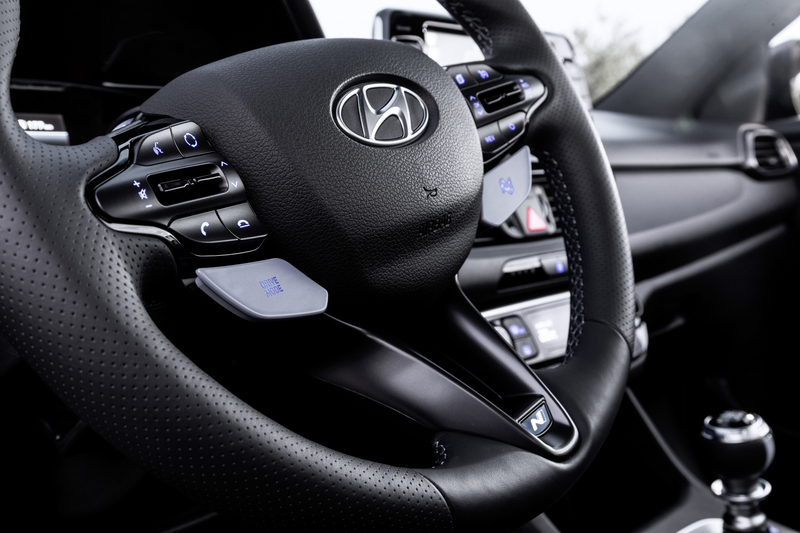 Of course, drivers are also treated to the usual Hyundai eight-inch touchscreen infotainment system, complete with Nav, Bluetooth connectivity options and both Apple CarPlay and Android Auto compatibility. It’s an impressive package, and considering prices will start from around £25,000, it seems to considerably undercut rivals in terms of features offered as standard. Two version of the Hyundai i30 N will be offered from launch: one that puts out 275hp, features the larger alloy wheels and brakes and an electronic slip differential, while an ‘entry-level’ 250hp version will also be available with smaller wheels and a lack of diff. The more potent of the two, which also happens to be the model we will focus on here, also comes with a nifty sports exhaust system that, when activated, spits all sorts of pops and bangs from the rear on overrun. All cars feature a handy rev-matching system, which blips the throttle on downshifts to keep things smooth, but this can be switched off with the press of a designated button on the steering wheel – just one of many customisation options available. There is also a launch control mode that can be precisely dialled in to the driver’s tastes, meaning that the number of revs piled on pre-launch can be decided by toggling a button on the wheel. Lastly, the addition of Electronic Controlled Suspension sees a tangible difference in ride comfort across the various modes and the Electronic Stability Control can be switched off completely. As in, slidey, skiddy, crashy completely. Throw in the stiffened chassis, the optional strut brace in the boot and the mind-boggling custom race settings offered and it becomes very apparent that this car means business. Around the Vallelunga race circuit, this front-wheel-drive machine clung to the surface with aplomb, the stiff chassis and suspension settings relegating any body roll to the sin bin, while the precise gear shift felt weighty and decisive. Biermann claims that his goal was never to create the fastest hot hatch in a straight line but his team wanted to create one of the most engaging and in that sense, there’s plenty to celebrate. 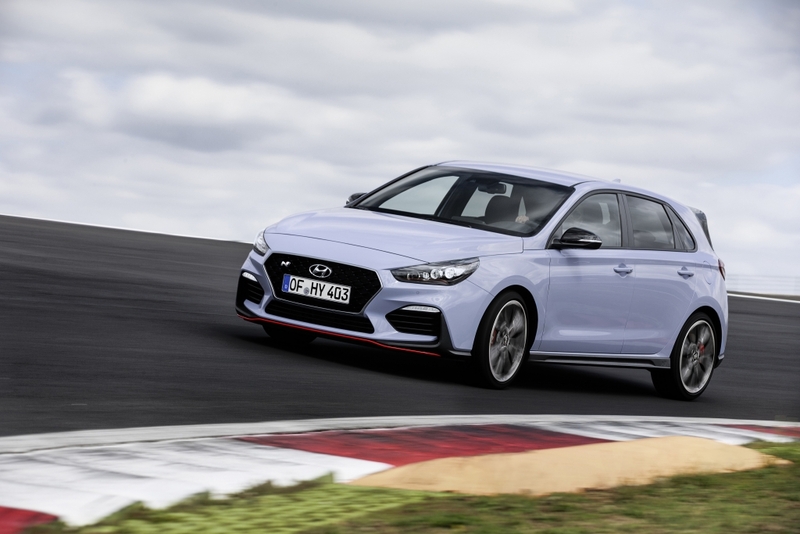 The Hyundai i30 N rarely felt unwieldy or scary (certainly not in our hands, anyway) but instead it encouraged more precise inputs and allowed us to focus on improving lines around the circuit and therefore improving lap times and skill. 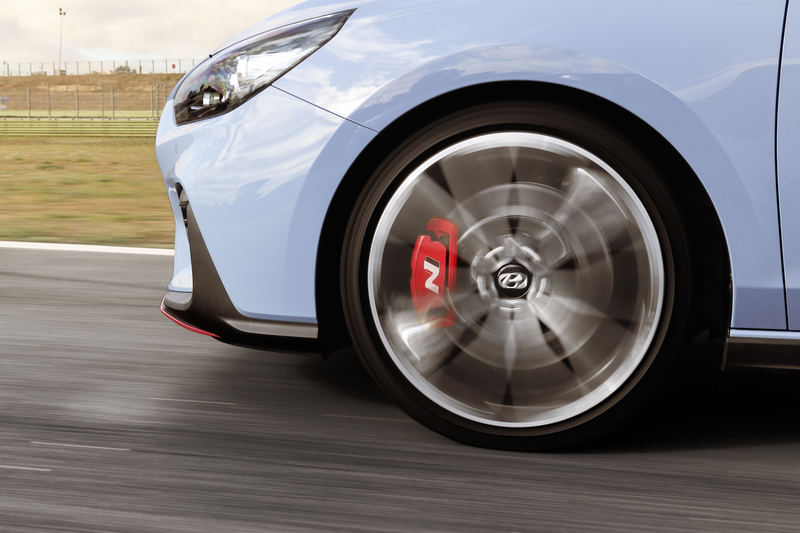 The “N” moniker apparently stands for Namyang but Biermann is also keen to point out that his baby also covered over 10,000km at the Nürburgring’s Nordschleife for durability testing, meaning it also takes its name from Germany’s most fearsome circuit. But when Normal Mode is activated, the car settles down into a respectable everyday proposition, with plenty of boot space and a comfortable interior placating those passengers who perhaps don’t appreciate lift-off oversteer. That said, there is no getting away from the fact that the ride is firm, even with the Electronic Controlled Suspension set to its most forgiving. Our test route involved some of the worst roads in Italy, which means the scarred surfaces of Britain will likely look like a smooth skate park in comparison, but the rough ride did prove a little tiring by the end of the day. Still, it’s an absolute hoot on the open road and with custom settings dialled in to unleash full engine performance, hell-raising exhaust noise and the sharpest suspension settings, we couldn’t help but take some of the Rome’s country corners like Senna in the wet. The grip levels are just excellent but Biermann and his team have ensured that there’s plenty of feedback to the driver, so the steering wheel squirms and tugs under hard acceleration, while traction levels at the front wheels can be felt through the fingertips. But like any good hot hatch, it will also swallow the weekly shop, transport a family in comfort and blast DAB radio out of the sound system when stuck in traffic. 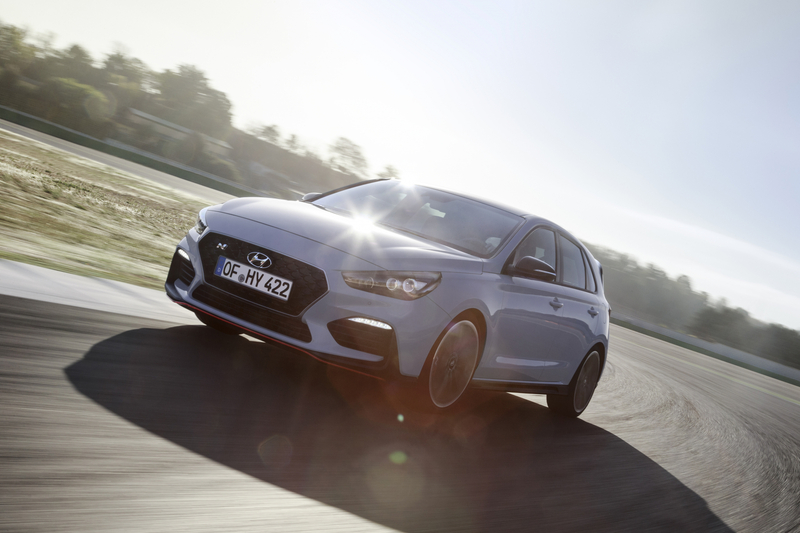 For a company that has never produced a performance road car in the past, the Hyundai i30 N is nothing short of a masterstroke. It offers better value for money than rivals from Volkswagen, Ford and Seat, yet doesn’t hold back on the fireworks. Granted, the ride might prove a little firm for those genuinely looking to use it everyday and the in-car gadgetry might fall short of competitors, but this should be viewed as a performance machine- and one that won’t cost an absolute fortune to take to your local track day. Most of the perishables on this car have been either taken directly from the Hyundai production line (yes, even the brakes), meaning replacing or upgrading shouldn’t be too expensive and it is covered by the same five-year warranty. 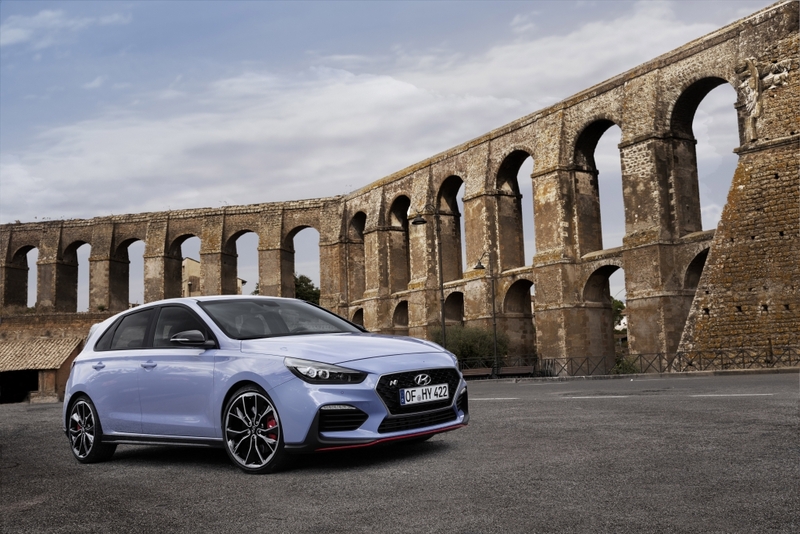 The biggest challenge Hyundai now faces is convincing the general public that this affordable, safe and often conservative company can create a truly enthralling driver’s machine. You don’t need to convince us. A few hot laps of Vallelunga did that.